After several sluggish years with few new residential developments, South Florida’s landscape is about to get a major makeover. The Brickell area deserves a lot of the credit, with new construction popping up almost monthly. In fact, according to Oscar Pedro Musibay of the South Florida Business Journal, since the start of 2012 developers have announced 13 new condo towers for the area east of Interstate 95. Most of the new developments claim they will “redefine” Brickell’s landscape in ways we’ve not even imagined. True? That remains to be seen, but let’s take a look at some of the projects for which the developers are just breaking ground or that are already under construction in Brickell. Developer Harvey Hernandez of Newgard Development Group paid $25.8 million for a site, in the heart of the financial district, on which ground has been broken for the 46-story Brickell House. Completion is set for 2014. The good news is that the sales center is now open, but, if you’re interested in purchasing at Brickell House you’ll need to act fast because there are only 20 units of the tower’s 374 remaining. Located at 1451 Brickell Avenue, the sales office offers models of the units’ kitchens and bathrooms. Brickell House offers units ranging in size from studios (at fewer than 600 square feet) to penthouses with 7,000 square feet of living space. While the units promise to be breathtaking, gadget lovers will be amazed at Brickell House’s robotic parking garage, a first for Miami. The completely automated system allows the driver to drive into an elevator, leave the car, press a button and the robotic system takes over, parking the car. Announced amenities include two swimming pools and a Meat Market steakhouse -- the self-described “sexier and more glamorous take on the traditional steakhouse,” which will be located on the ground floor. Not far from BrickellHouse, sales are underway for the 234 units planned for My Brickell, which broke ground in the spring. 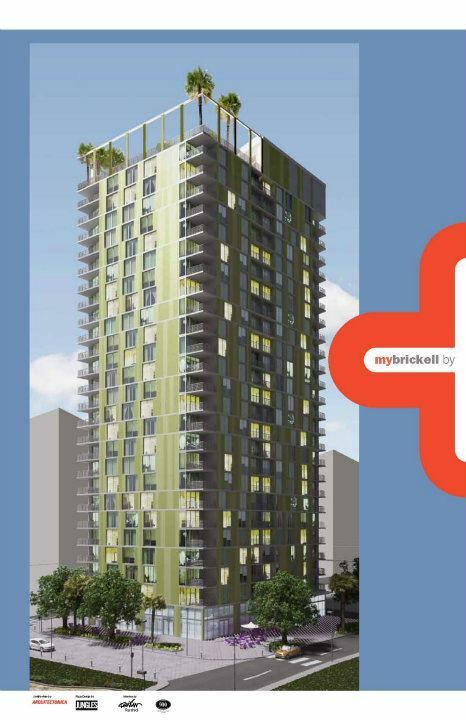 Related Group, the developer of the site located at 30 SE Sixth Street, expects the project to be completed by late 2013. The 25-floor building is designed by Arquitectonica, and the award-winning Karim Rashid is doing the interiors, according to the Miami Herald’s Martha Brannigan. The residences – studios and 1 and 2 bedroom units -- range in size from 600 to 1,195 square feet. Interestingly, there is no parking at the building, but owners of one and two bedroom units will be allowed to park next door at 500 Brickell, via valet parking. Studio owners are not given parking, thus the lower-than-normal prices for these units. The highlight of the development is the amazing rooftop terrace with a swimming pool, but My Brickell will also offer residents a fitness club, a bar and a media room. The interiors promise to be stunning with Berber carpet, walk-in closets and Italian cabinets and stone countertops in the kitchens and bathrooms. If you’re interested in purchasing a unit here at My Brickell you’ll need to act quickly as there are only five available, with an average sales price of $400 per square foot. 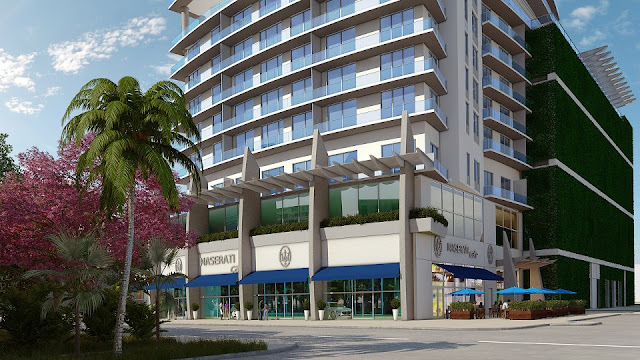 Related Group also broke ground last month on 1100 Millecento Residences in Mary Brickell Village. The 382 residences are designed by Pininfarina. If the name sounds familiar, think Maserati, Ferrari and Rolls-royce. Millecento was sold out before developers broke ground for the project, with buyers placing a hefty 35 percent deposit on the units. The gargantuan Brickell CitiCentre complex of skyscrapers has had its share of problems getting off the ground, but with the first phase finally getting underway back in June, it seems to be full speed ahead from here on out. 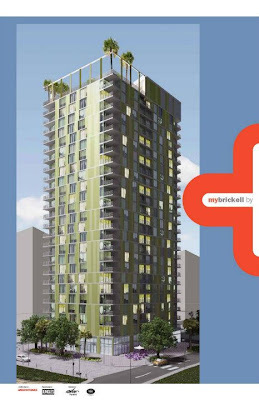 Part of this first phase includes 800 condo units in two 40-story towers, according to the South Florida Business Journal. Units range in size from studios to five-bedrooms. The expected completion date for phase one is sometime in 2015. This city-within-a-city promises to provide residents with the convenience of walking, on what they call the “Climate Ribbon,” (covered walkways that connect all of CitiCentre’s structures) to shopping, dining and entertainment, all within the complex. Phase two will add an additional, taller office tower. If you drive by the site you’ll notice that the first phase is well underway with contractors working on the foundation and underground parking. This part of the project should be complete within 18 months, according to the South Florida Business Journal.